Further, the local chief executive also wants to include in the revision of the Charter the re-classification and segregation of mineral reservation areas in Gibraltar, Mines view, Loakan-Apugan, Atok Trail and Kias as alienable and disposable public lands and for the same lands to be sold to the residents who have been occupying the said lands for the longest time. He explained that one of the requirements of the TSA mode of acquiring alienable and disposable lands is the publication of the application, thus, qualified homelot applicants fear that once their lands will be published for public bidding, rich individuals might outbid them that could cause their eventual deprivation of owning the property they occupied for years or even decades. “The lands that have been occupied by qualified homelot applicants pursuant to the existing guidelines should be directly awarded to them instead of being subjected to public bidding that might cause their eventual eviction from their property because they were outbidded by rich people who want to own lands in the city, thus, the need to abolish the TSA mode of acquiring lands,” Domogan stressed. According to him, there are numerous applicants who no longer pursue their TSA applications when it reaches the period that it will be published for fear that they will be outbidded by moneyed individuals once the same will be scheduled for the conduct of public bidding, thus, such applications are pending with the clearing committee awaiting for the applicants to authorize the publication of their TSA applications. He claimed the best way to get rid of the TSA mode of acquiring lands in the city is to introduce the needed amendment to the existing City Charter so that the same provision will be deleted and replaced with a provision that will provide for the direct award of available alienable and disposable lands to the qualified homelot applicants, especially to those individuals who had occupied the said lands for decades now. 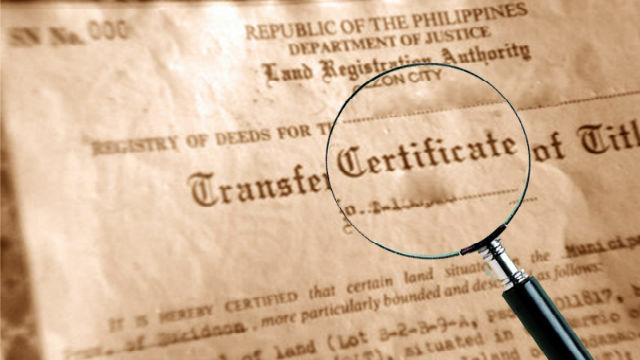 Domogan disclosed that another issue that will be resolved with the approval of the necessary amendments to the City Charter is the legalization of the swapping of lands between Baguio city and Tuba, Benguet so that the city will be able to retain its prescribed 57.4-square kilometer land area. Currently, almost three-fourths of the land area occupied by the Tuba municipal hall is within the jurisdiction of Baguio city, thus, both local governments agreed to swap the area owned by the city to a similar area owned by Tuba in the Dontogan area and its technical description will be included as part of the revised Charter which continues to be pending in Congress for deliberations by the committees where the same was referred.